In concluding his life-changing teaching, “Your Day of Justice,” Dr. Bill Winston has produced several single disc teachings to explain how believers can practically apply the revelation of vengeance and recompense to their lives. His justice is not complete until repayment of damages is awarded in the life of the believer. 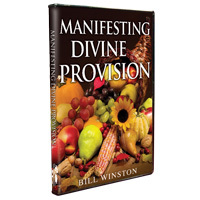 In “Manifesting Divine Provision,” Dr. Winston shows you straight from the Word of God what Kingdom provisions God has for you and how to make them manifest through His Word. Let the truths shared in this teaching help you to withdraw from your Heavenly account everything you need to fulfill your purpose and enjoy your Divine Provision!